The following is a sponsored post on behalf of Planet Fitness. Although I have been compensated by Planet Fitness to share this offer with you, all opinions expressed are solely my own. 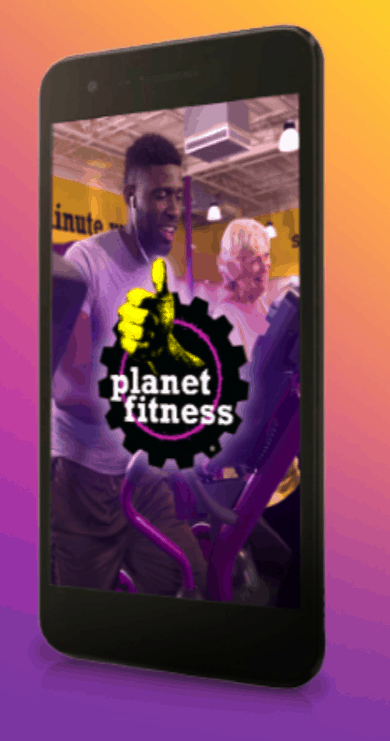 Planet Fitness is giving away a FREE LG Smartphone to new members! This is an excellent time to get started with Planet Fitness! If you missed out on the New Years deal I shared a couple weeks ago, then you can definitely take advantage of this one I have to share with you today. 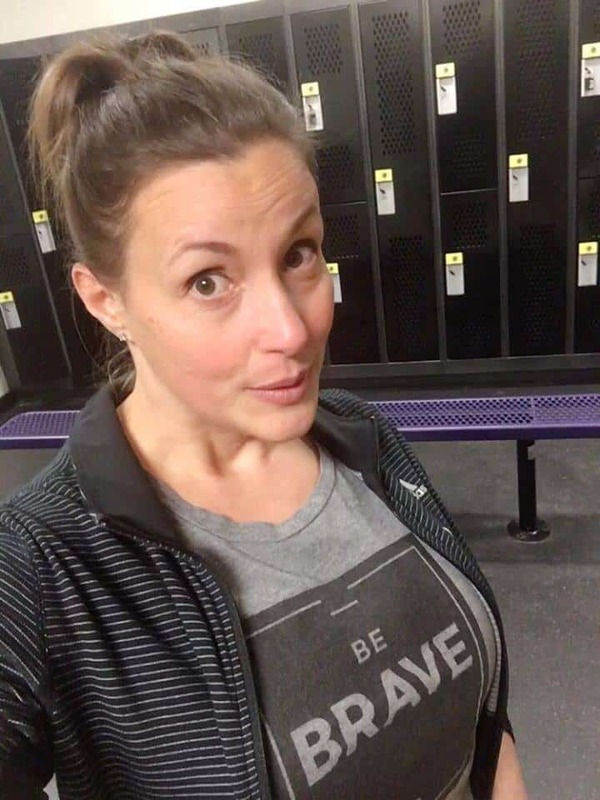 You can still read the post here, where I share all about one of the scariest things I have ever done and why I personally love my local Planet Fitness and give you a little insider tour of all the awesomeness that they have to offer. If you want to take advantage of this free phone offer, you’ll have to sign up for a new Planet Fitness membership online and then pay for one month of wireless service to get your free phone. 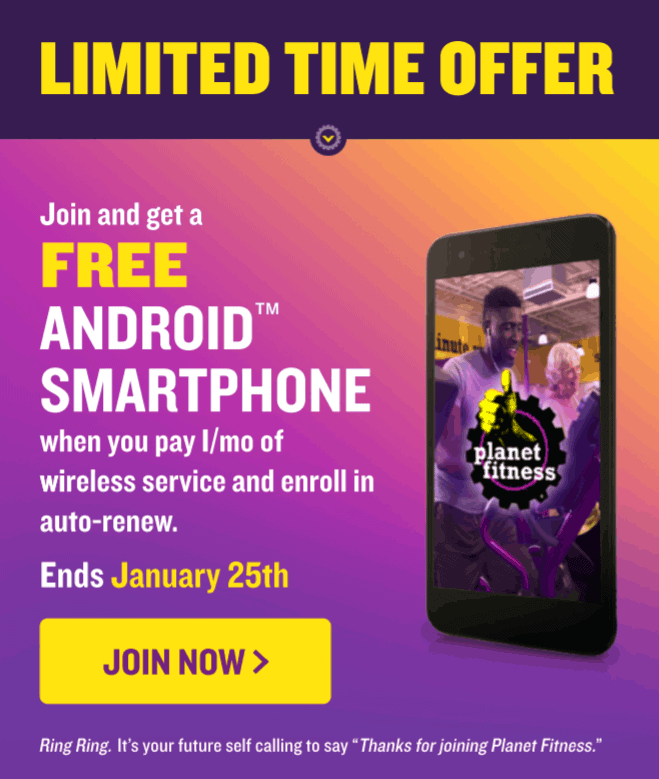 From January 21-25, 2019, when you join Planet Fitness, you’re eligible to receive a free LG smartphone when you sign up for one month of wireless service and enroll in an auto-renew mobile plan. Make sure to check out the 30 Minute Circuit. It is my favorite and I love knowing that I can get a complete workout in, even on the days that I am short on time. Planet Fitness has revolutionized the fitness industry with extremely low prices and offers a variety of benefits including a hassle-free environment called the Judgement Free Zone®, brand name cardio and strength equipment, fully equipped locker rooms, flat screen televisions, unlimited small group fitness instruction by a certified trainer through the [email protected]® program, and much more. With over 1600+ locations nationwide, you can find one near you here. What comes with a Planet Fitness Membership? 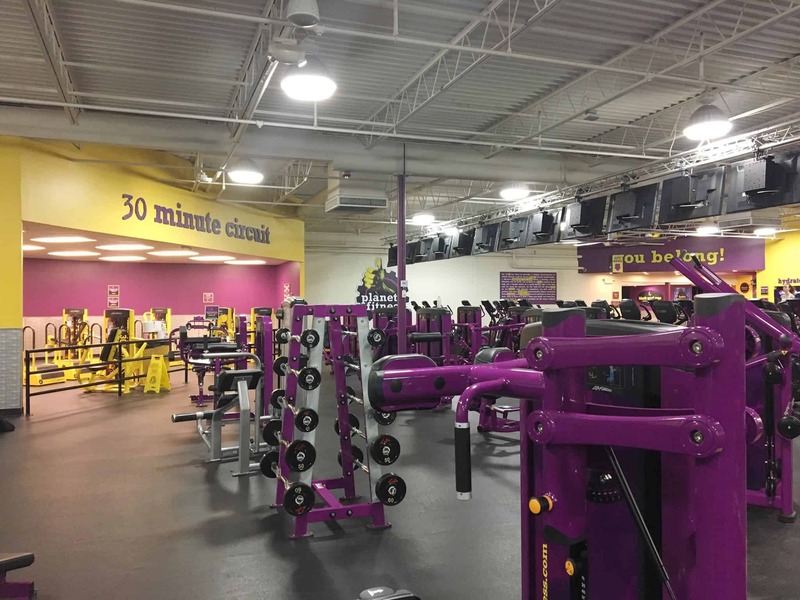 Free Planet Fitness Classes – Over 50 group sessions each week to choose from. Free Wifi – this is important to me as I am able to catch up on my favorite podcasts while running on the treadmills. Tons of Machines – I’ve never had to wait in line for one of the cardio or strength machines because they have so many of them available. They also have complimentary tanning, nice shower areas, Hydromassage beds and massage chairs for Black Card holders. 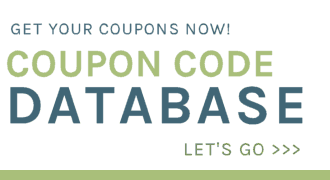 Don’t miss out on this awesome deal that is ending in just a few more days, on January 25th. Sign up for your membership & FREE phone here. Although this has been a sponsored post and I received compensation to share my thoughts with you, all opinions shared are fully my own.